To better understand Walter Benjamin’s approach to the schlemiel, I have, in previous blogs, looked into his relationship with the youth movement in Germany. There is a strong link between the two since the schlemiel falls between being a man and a child. 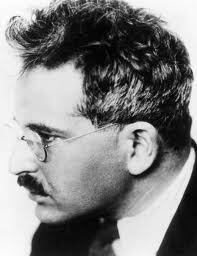 And Walter Benjamin’s appeal to youth and his struggle with adulthood situate him in this very tension. However, as he was later to learn, his religious devotion to the Spirit and the autonomy of the Youth movement were a dead end. Moreover, the reading of the Messianic that comes out of this moment in his life also poses a problem for the reading of the schlemiel. I started my inquiry into this tension with Benjamin’s review of Dostoevsky’s The Idiot. This review followed in the wake of his falling out with the youth movement. As I argued, Benjamin’s comments on Dostoevsky reflected his disillusion with the youth movement which had, in his view, failed not just in Germany but in Russia as well. Before blogging on this topic, I had argued that Benjamin’s turn to the “Destructive Character,” crisis, and the Apocalyptic, is prefigured in this review. This view may have also been influenced by his work on Baudelaire, who had a penchant for the daemonic that Benjamin was acutely aware. What I would like to do in this blog and in the next two blogs is to take a closer look at Benjamin’s parting with the youth movement and how this parting led him to change his perspective on the tension between innocence and adulthood. It also led him into a new understanding of the Utopian and Messianic elements of youth and its eventual triumph adulthood. In his book Walter Benjamin and the Antinomies of Tradition, John McCole has done an exceptional job of researching and describing Benjamin’s passion for the ideas of Gustav Wynekin, the leader of the Youth Movement, and his falling out with him. The main thrust of Wynekin’s appeal was his emphasis on youth and education. As McCole notes, Wynekin called for youth to commit themselves, body and soul, to the objective Geist (spirit). For only an “undivided devotion to Geist could guarantee the autonomy of youth culture”(47). Parsing Benjamin’s essays for Wynekin’s journal Der Anfang, McCole notes that Benjamin believed in Wynekin because he believed that the university should not be committed to utilitarian or vocational goals, which corrupted the Geist, but must aim at shaping the “totality of the learner and inculcate a kind of universality. This would redound to the benefit of learning as well, by restoring the totality of a metaphysical orientation to an academic culture that had been fragmented by narrow specialization; philosophy would be returned to its rightful place as the queen of disciplines”(47). Beside affirming this project, Benjamin used this commitment to the Youth Movement to criticize other youth movements between the World Wars that were based on vitalism and confused ideas about youth (many of which were subservient to this or that instrumental or State project). For Benjamin, Wynekin represented the best of the youth spirit and, for this reason, youth should devote themselves to it. As Benjamin argued, for youth only an “unconditional pursuit of Geist could produce ‘the deepest bond between profession and life – to be sure, a deeper life”(49). Benjamin was looking for something he could religiously commit himself to. But he didn’t see this commandment as distinctly Jewish – although he thought Judaism could be seen through the “lens” of the Youth movement. The problem with Geist, according to McCole, is that it left the gap between “Geist and convention”(51) unreconciled. Benjamin, to be sure, insisted on this distinction which showed his hostility towards “the official institutions of the German empire”(51) and their utilitarian project. McCole notes that this opposition, for Benjamin, was connected to a “quasi-religious will to decision as the fulcrum to establishing new values”(51). Youth has always had to choose, but the objects of its choice were determined for it. The new youth stands before the chaos in which the objects of choice (holy objects) are vanishing…it desires nothing more urgently than the choice, the possibility of choice, the holy decision. To this, Benjamin notes there is a horror since this autonomy is really the autonomy of the Geist and not of the youth (which would be free to do whatever it wanted). This autonomy is premised on “prostituting” oneself to the Geist (53). By way of such prostitution, the Youth would be able to take up the necessary task of the future (whatever that is). For Benjamin, what is to come is not freedom so much as a law to come: “the unfree will always be able to show us the cannon of their laws. But we will not yet be able to name the law under which we stand”(54). As McCole notes, this implies that Benjamin was ready to submit to whatever the Youth movement required so as to be ready (prepared) to take this law on when it would messianically irrupt. The religion that Benjamin appealed to is a religion to come and it is based on a blind religious commitment to the Youth Movement. When the war approached, however, Benjamin fell out with Wynekin. He realized that the Youth Movement had failed to challenge the State and could do nothing in the face of War. To be sure, McCole notes that Benjamin, near the end, saw Wynekin as claiming that the Spirit of the movement may even use the state. Benjamin found this repulsive as he thought the “idea” of Youth was greater than the state. More importantly, two of Benjamin’s close friends who participated in the movement committed suicide as the war approached. For Benjamin, this marked a point of no return. McCole notes that Benjamin took on a radically different approach to the Messianic after this rupture. He argued that it would not come out of a movement but would irrupt at any point. Moreover, Benjamin turned to critique rather than to politics as the horizon of such an irruption. McCole argues that Benjamin’s interest in Kabbalah also began at this point of no return. McCole’s analaysis of these shifts are very important and help Benjamin scholars to look for deeper roots to Benjamin’s interest in the Messianic. Following McColes lead, I would like to take up where he left off and take a closer look into what happened in the wake of this fallout. Did Benjamin let go of his religious ideas about youth? How did he renegotiate his ideas? To be sure, Benjamin, in his letters and in his essays during WWI, did not let go of his ideas of youth; rather, he reworked them. In youth, Benjamin saw a tension between innocence and adulthood which speaks directly to the schlemiel. Moreover, it shows how Benjamin saw this tension as fundamental to the Messianic. His blind commitment to the ideal seems to remain, but now it is turned more toward solitude. We see this in his meditations on innocence and guilt. We see indications of this shift in a letter to Carla Seligson written on August 4th 1913. This meditation opens up a point of view that can help us in our approach to the schlemiel as it pits innocence against guilt and community against solitude. The most profound form of loneliness is that of the ideal person in relation to the idea, which destroys what is human about him. And we can only expect this loneliness, the more profound type, from a perfect community (50). Benjamin believes only an elite can have such a community. However, he believes that the “conditions of loneliness” have “yet to be created for the people.” In the presence of the idea we will all become “lonely.” This appeal to loneliness is an appeal to a certain kind of otherness that goes against the grain of youth movements which call for a vital Volkish kind of oneness. But youth is beyond good and evil, and this condition, which is permissible for animals, always leads a person into sin. This may be the greatest obstacle that the youth of today must overcome: the assessment of them as animal i.e. as unrepentant innocent, as that which is instinctually good. For people, however, this kind of unaware youth…matures into an indolent manhood. It is true that youth must lose its innocence (animal like innocence) in order to become guilty. Knowledge, the self-awareness of a calling, is always guilt. It can only be expiated by the most active, most fervent, and blind fulfillment of duty….All knowledge is guilt, at least knowledge of good and evil – the Bible says the same thing – but all action is innocence…The innocent person cannot do good, and the guilty one must (50). What I find most interesting in this reading is that Benjamin is struggling with the meaning of innocence, which, to be sure, is one of the key elements of the schlemiel. The schlemiel is innocent while the world is generally guilty. But over here Benjamin would say that the schlemiel’s innocence indicates that this character, in fact, can’t do any good. We can. But there is a major difference here. Unlike the German-Jewish Enlightenment, which would say that one should not be like a schlemiel and become independent and autonomous, Benjamin is saying the opposite. By acting blindly, in the name of this “calling” to the idea of a youth to come, we become schlemiels. We become innocent. This action expiates the “guilt” of knowledge. Action is innocence. But it is also foolish as it doesn’t act in accord with Kantian ideals. Rather, it awaits its law. Its innocence is in its relationship to this law to come. Not acting in accordance with it would imply some kind of bad conscience. Acting in accordance, with the law is innocence. But, as Benjamin notes, this will be looked upon by “the people” as odd and one will be “lonely” in this vocation. Benjamin confers in Seligson because this idea was at odds with Wynekin in one important way: Benjamin believed that Wynekin, at this point, was committing himself to the ends of the state rather than this law to come. In addition, Benjamin wanted to import a religious framework to understanding Wynekin’s call to the youth movement. What I find most interesting about Benjamin’s decision for the law to come is that it echoes, in many ways, the work of Jacques Derrida who speaks of the Messianic in terms of the “to come.” However, this move, as Benjamin understands it, is religious. It is a “religion without religion” which is closer to Nietzsche and Georges Bataille than it is to Derrida. To be sure, it is a blind commitment to something like a KINDERLAND which appealed to Friedrich Nietzsche and Georges Bataille. Since it commits itself to a law to come and something beyond reason, this kind of commitment is utopian and it necessarily will leave behind anything that gets in the way of such an action. This direction is like that of a schlemiel but with one exception: the schlemiel doesn’t feel guilt and his innocence is based on a lack of knowledge. And if the audience feels guilt, it is only because they realize that goodness, in our world, is laughable. The point is not to become like a schlemiel or to blindly commit ourselves to this or that ideal of youth but to be critical of ourselves. The Yiddish writers were keen enough to know that the stakes of utopia are too high to risk blind adoration and commitment. The experience of Shabbatai Zevi and his blind commitment to the Messianic, in reality, tore worlds open. The point of the schlemiel is to create a balance between guilt and innocence and not to act believing that one’s action will eventuate the law-of-youth to come and the Messianic irruption. It is also linked to the idea of tradition which Benjamin, at least over here, leaves behind. To be sure, the total Apocalyptic rejection of the adult world, portrayed as an act of expiation, has major consequences that Benjamin was to more carefully consider as he grew older (although, to be sure, he was still tempted by its allure). In the next blog entries, I will take a closer look into Benjamin’s religious musings on innocence and guilt, youth and adulthood, so as to show how his messianic idea remained but in an altered form. The point being that the schlemiel takes on more of a role the more Benjamin reconsiders the messianic in terms of the mystical and the traditional.